Blount had – by far – his best season in 2016, carrying the ball 299 times for 1,161 yards and a whopping 18 touchdowns. He also put up those impressive numbers while playing in a pass-first offense behind Tom Brady. Now imagine what Blount will be able to accomplish in a more balanced offensive approach in Philadelphia. With a young quarterback in Carson Wentz, Blount may see even more carries this year in an effort to lighten the load for the second year QB. The Eagle weapons of Ashlon Jeffery, Jordan Matthews, Darren Sproles, and Zach Ertz will help open up the run game and keep defenses off balance. Blount will be a key contributor for Philly’s offense, and has a chance to build upon his strong 2016 campaign. Sanders has quietly topped 1,000 receiving yards in each of the last three seasons. He’s not exactly a touchdown machine, and with a mix of young quarterbacks throwing to him, it may be difficult for Sanders to excel statistically. With that said though, we do believe that Emmanuel Sanders will continue creating his consistent fantasy football value. Quarterbacks Paxton Lynch and Trevor Siemian are both a year older and more experienced, so one of them could very well break out and provide the passing that could help Sanders put up big numbers. If Demaryius Thomas and C.J. Anderson can play well, it opens up Sanders for big plays down the field. The talented wide out has always been a solid fantasy play, and even turning “dirty thirty” shouldn’t stop him from continuing his theme of 1,000 receiving yards. 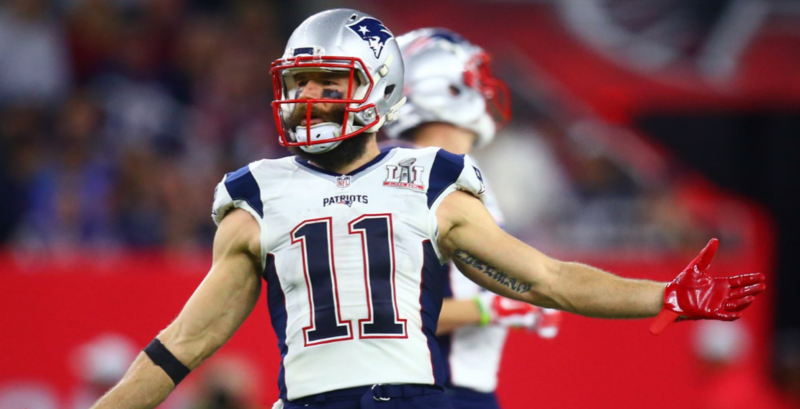 Edelman capped off one of his best years as a receiver with a Super Bowl ring. In 2016, he caught 98 passes for 1,106 yards, and in the Super Bowl he made one of the most remarkable catches in NFL history. New England’s well-balanced offense, and Brady’s knack for spreading the ball around only allowed Edelman to reel in three touchdown catches. However, he could very well add to that total in the 2017 season. He’s Brady’s security blanket, and the departure of Martellus Bennett should give Edelman more cracks at the end zone. Fantasy owners should be optimistic that this 31-year old will continue to make plays and put up numbers. He’s catching passes from Brady in a Bill Belichick offense, and that combination has continually proven to be nothing but consistent. Beast Mode is back! Lynch has returned after sitting out the entire 2016 campaign. Despite being slowed in his last full year as the result of a sports hernia, Lynch is still a threat when healthy. He was a 1,000-yard rusher from 2011-2014, with double-digit touchdowns in each of those four seasons. He may be a few years removed from that success, but the new scenery in Oakland should help Lynch get back on track. 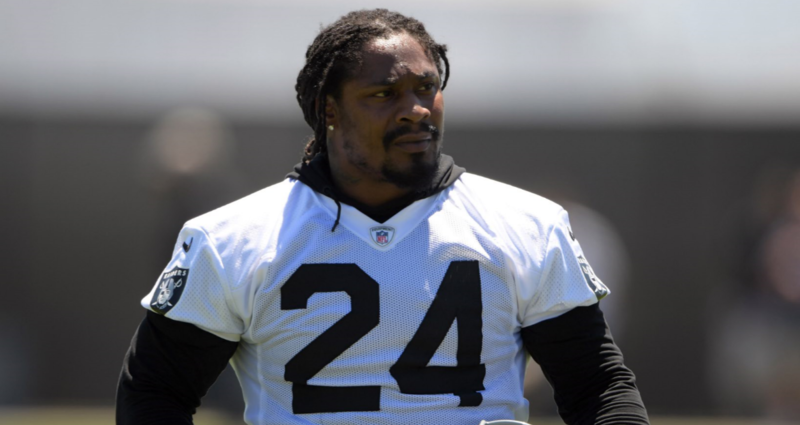 The aerial assault led by Derek Carr should open up the run game for Marshawn. He shouldn’t have any problems finding holes with Oakland’s great offensive line. It may be difficult for a 31-year old running back to return to prominence after missing one and a half seasons, but Lynch is far from the typical NFL RB. We fully expect him to be a leading candidate for this season’s Comeback Player of the Year. Nelson had a huge bounce back season in 2016. Reeling in 97 receptions for 1,257 yards and a league-leading 14 touchdowns, Nelson was named the NFL’s Comeback Player of the Year. With the exception of his lost 2015 season as the result of a torn ACL, Nelson has been one of the most consistent NFL wide receivers from a fantasy perspective. He has topped 1,000 receiving yards four different times, and has found the end zone on 57 different occasions within the last five years. In 2017, Nelson will continue to reap the benefits of having Rodgers as his quarterback. The duo have a near unstoppable connection, and their chemistry should be on full display again this season. Nelson may be 32 years of age, but this dynamic receiver still has a lot left in the tank. He’s in contention for putting up Top-5 WR numbers this year. Olsen is the definition of durability. He hasn’t missed a game since 2007. Last year he became the NFL’s first tight end to rack up over 1,000 yards receiving in three consecutive seasons. He’s Cam Newton’s favorite target in the passing game, and he has proven himself to be a Top-5 fantasy tight end. The Panthers may have had a rough season last year, but in 2017, they hope to bounce back into contention. Greg Olsen is going to play an integral role, and we anticipate him putting up similar numbers to last year. With a stronger team performance, there should be more red-zone visits, which should hopefully result in more touchdown catches for Olsen. He only had three last season, but in the previous year he scored seven different times. 2017 should be closer statistically to Olsen’s 2015 numbers, making him a highly coveted draft option. Rodgers continued his fantasy football dominance in 2016. He has consistently been one of the best quarterbacks and fantasy football players of the past decade. Last season, he eclipsed 4,000 passing yards for the sixth time in his career, and threw for 40 touchdowns to just seven interceptions. Not to mention Rodgers also ran for a career-high 369 yards and added four crucial rushing touchdowns to his total. This upcoming season should be more of the same for Mr. Discount Double Check, since 33 years of age is far from old for an NFL quarterback. 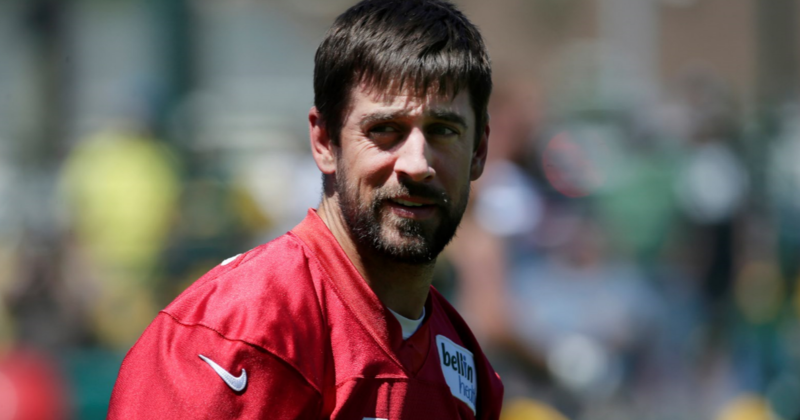 His recent breakup from actress Olivia Munn should also give Rodgers more of an edge, since he’ll have more time to study game film rather than attending premieres and red carpet events. He has strong weapons around him in Nelson, Randall Cobb, and Ty Montgomery, and the addition of Martellus Bennett should also prove beneficial. He’s a lock to be a Top-3 fantasy QB every year. This Gore may not be an expert on global warming, but he has been a hot NFL running back since 2006. In the past 11 seasons, Frank Gore has failed to top 1,000 yards rushing only twice (one of which being 2015 when he was just 33 yards shy). Every year we think it’s the end for the veteran back, and every year he has a starting job with strong numbers. 2017 will likely be no exception since he has consistently maintained his health and played in all 16 games in each of the past six seasons. Gore is one of only three players (the other two are Hall of Famers Jim Brown and Barry Sanders) to record nine consecutive seasons of 200 or more carries with an average of over four yards per carry. For fantasy owners, the durability of Gore as well as his consistent yardage is incredibly appealing, and despite being 34-years old, he is still a solid draft pick. He may be getting older, but Brees is still putting up numbers. In 2016 he threw for 5,208 yards with 37 touchdown passes. He hasn’t had a season with less than 30 TD passes since 2007. Along with Tom Brady and Aaron Rodgers, Brees has been amongst the most elite and consistent quarterbacks in the NFL for the past decade. He is also a QB that likes to spread the ball around to his many weapons. 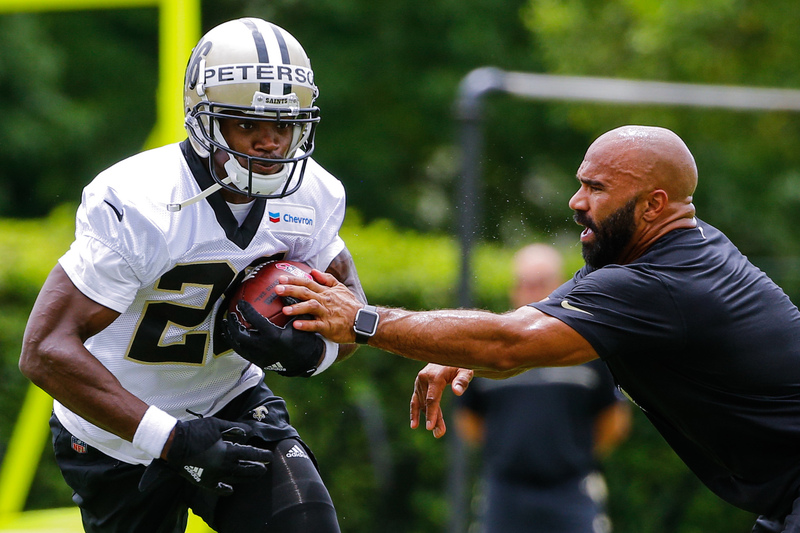 With this year’s acquisition of running back Adrian Peterson, the Saints opened the field up for Brees even more, allowing the passing game to continue its aerial assault. In 2016, Brees broke his own record with 471 completions in the season. 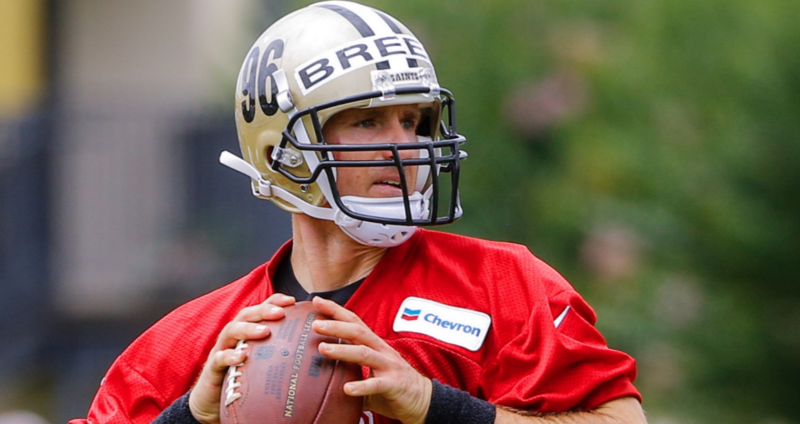 He hasn’t shown any signs of aging, and we fully expect another productive year from Brees behind center. If you’re ever going to select a 40-year old in your fantasy draft, it ought to be the greatest quarterback ever. 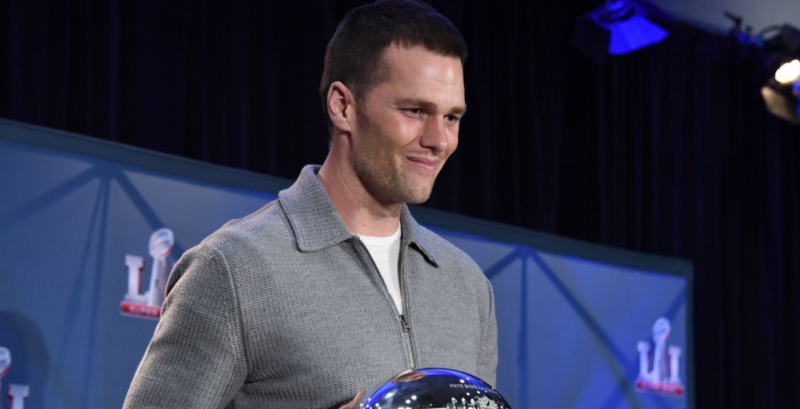 2016 was just another year, and another Super Bowl victory for Brady. After serving his four-game suspension to open the season, he went on to throw for over 3,500 yards, as well as 28 touchdowns to just two interceptions – a staggering ratio. Brady is also about as consistent as they come, and unless his body starts to break down, or Belichick suddenly goes missing, 2017 should be another strong season for the former sixth rounder. Let’s also not forget that he was named the cover athlete for this year’s Madden game. While some people may say that he has nothing left to prove in the NFL, he is going to set out this season to dispel the Madden curse. Many have tried, and almost all have failed. We’ll put our money on Brady doing just fine.